I would venture to say that Dollywood’s 2018 Season was a Caylor-Brown favorite. Nothing is every perfect, but our experiences there were pretty close to perfect. Enjoy Sean’s , Carter’s & Ammon’s (Ammon’s is a preview for the 2019 Season!) blogs for Dollywood. What a wonderful time of year to consider what we can give back to God! It should be a goal every day of our lives to lift up a prayer and ask, “How can you use me today, God?” However, if you are like me, we get lost in “What am I doing for myself today?”. We are also in trying to do for and please our spouses, children, parents, bosses and co-workers, teachers, and it goes on and on. I absolutely love Josh Groban’s “The Little Drummer Boy”, and I am sharing it with you all. Enjoy! Who would ever think Santa Claus could ever use raptors (Eagles, Hawks, etc) to help him with his Nice List? Well, Carter, Ammon, and I did, and the result is an awesome tale. It has the potential to be a Christmas Classic, and you all can help it make it one. 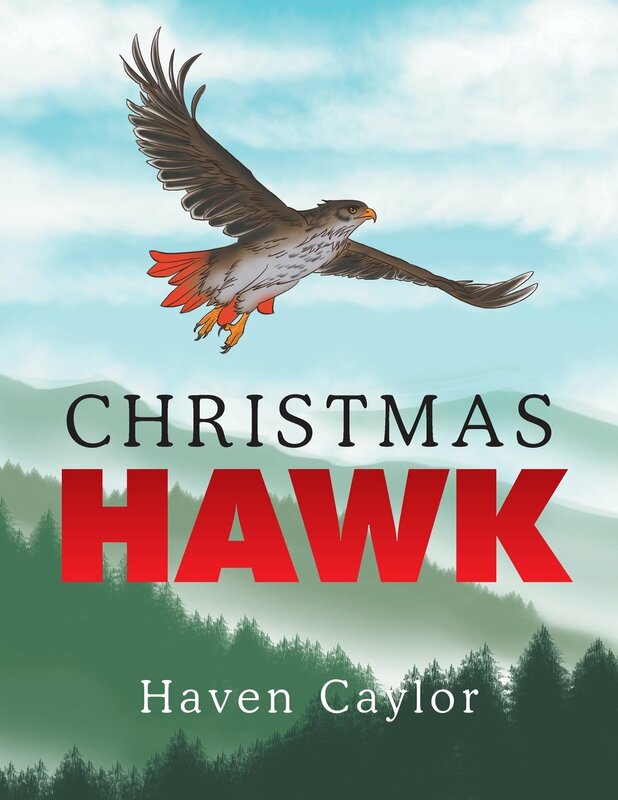 Carter and Ammon helped me write “Christmas Hawk” one December afternoon as we watched the Red Tailed Hawk who lives behind our house circle above our heads. I’ve seen several picturesque frosts on the ground these past few days. Mother Nature and the art that she creates is incredible: the ice crystals on the clover or the feathery, ice designs on the sheets of ice on our pond. The frost was so heavy that there was still frost on the ground in the shaded areas at 10 o’clock that morning. The frost reminded me of the opening lines of “The Christmas Waltz” song. I never really appreciated the song until one of my favorite singers/actresses, Kristen Chenowith, sang it on her Christmas album from 2009.I appreciate her vocal talents, sense of humor, and Christian spirit.I want to share the song with you all. I got Ammon and Carter up at 7:30 (I’m soooo glad there is sleeping and no peeking during the wee-morning hours during this age) to tell them that Saint Nicholas has been here. I loved reading “Twas the Night Before Christmas” on Christmas Eve, and Carter and Ammon were anxious for Santa. They had a good and blessed morning with their Santa toys. Their biggest gift and challenge is their bicycles. Santa was good to Carter! Santa was good to Ammon! Ammon and Carter’s Nana has the Jesus Christ’s spirit of GIVING during Christmas, and she spares no expense on her grandchildren. They are very blessed (in a familial way & material way …LOL…) to have their Nana. I hope and pray that you and yours enjoyed Christmas 2012. Starting and ending the day with my family and with Jesus the Christ child in my heart was my favorite and most important part.